I am in the middle of a cleaning revolution, the flat looks like a mess and right now it seems like there is no way I am ever going to finish. 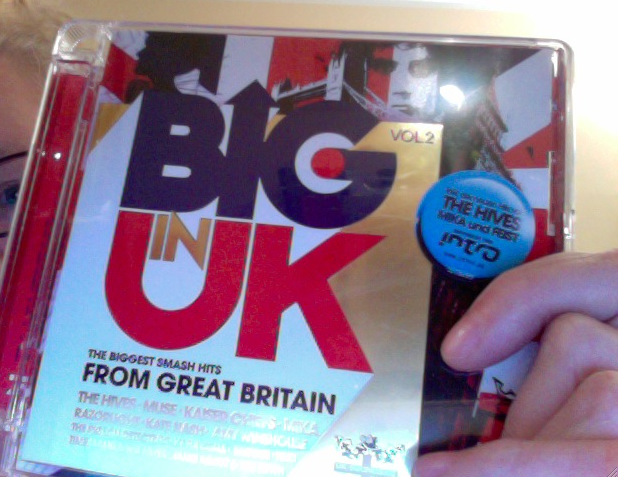 Luckily I have my revolutionary soundtrack which has been on repeat for the past two days now: BIG IN UK: The Biggest Smash Hits from Great Britain. I bought in on sale last year and every time I play the CD (yes, properly on the CD Player like in the old times) I enter “cleaning mode”. My neighbours must love me these days. So, the Biggest Cleaning Hits in my Flat are: See below.